It’s not essential to create a list of style goals, but they can serve as a helpful frame of reference as you edit and review your closet, shop for new items, create outfits, and evolve your style. Having FLEXIBLE goals will make your style journey more effective and enjoyable. If you have a good handle on your style direction, setting style goals is an intuitive and incremental process of fine-tuning the sartorial fabness that you accomplished last year. On the other hand, if you’ve experienced dramatic changes in your life, or if you’re in a style rut, setting style goals requires time, patience, some soul searching, and an in-depth analysis of the internal and external factors that affect your style. I prefer the formal approach of writing or typing out style goals because it crystalizes my thoughts and keeps me accountable to attaining them. It’s handy when I want to check in on my goals regularly to asses progress throughout the year, or share them with others. If this sounds overwhelming, just take a moment to reflect on 2018, and think about how you’d like to improve your fashion and style in 2019. Anything that relates to your style can go on the list. Style goals can be general or specific, seasonal or annual, abstract or quantified. Remember that style goals can be changed at any time, so don’t overthink the process. You can set as few as one goal. I changed my style Moniker to “Urban Polish” last year, and am keeping it for 2019. I live in grungy, outdoorsy, hipster and casual cities, and travel a lot. Yet it’s important to me to create daily outfits that are refined, pretty, structured, polished, comfortable, and dressier than the norm because that feels authentic to my style. And when your style feels authentic to you, it’s easy to manage, maintain and feel happy about it. I’m repeating many of the same goals because I’m in an extremely happy place with my style, and I love my wardrobe. At the moment, what I’m doing is working so there’s no need to fix it! It’s more a question of repeating and fine-tuning my style strategies, and focussing on some specific purchases. Here are my goals. This year I am structuring them into my style adjectives, general goals, and specific goals. Wear outfits that are Modern, Crisp, Retro, Soft and Dressy. I’ve chosen the same five adjectives to describe my ideal style. They’ll serve as a benchmark for assessing outfits and purchases on this leg of my style journey. I won’t achieve all five adjectives for every outfit, but three or four are close enough. MODERN because I enjoy injecting a few carefully chosen hot-off-the-press trends into my seasonal look. That’s part of why fashion is fun. CRISP because I love wearing shades of white, and have a strong need to create a polished, professional and tidy appearance. RETRO because of my fondness for fashion from the ‘60s, ‘70s and ‘80s, but remixing their sensibilities with a good dose of current. SOFT because I do not like wearing hard-edged looks. DRESSY because super casual does not make me happy. Prioritize quality. My commitment to wearing beautifully constructed and finished items made of gorgeous fabrics that launder well is higher than ever. That means prioritizing the following brands because they keep on impressing me, go the distance in my wardrobe, and generally fit well: Boden, Scotch & Soda, COS, 3.1 Phillip Lim, Sylver, Derek Lam, Theory, Furla, Madewell, Karen Millen, Simkhai, Club Monaco, Helene Berman, Pilcro, GRLFRND, Expresso, Franco Sarto, Naturalizer, Hispanitas, Paul Green, Elie Tahari, Stella McCartney, Soia & Kyo, Kate Spade, Peter Kaiser, Bella Freud, Reiss, L.K. Bennett, Manfield and Levis. Express my style through colour and my favourite patterns. For colours, that means adding a few more new-to-me non-neutrals to my mix of sour brights, pastels, earth tones, and favourite neutrals. To continue remixing the colours in my wardrobe in bold, new and tonal combinations. For patterns that means sticking to the classics like stripes, dots, plaids, some florals and a smattering of animal print because I don’t tire of them. Continue adding elegant touches to my style. My custom-made pearl jewellery, watch and scarves make me feel more elegant and polished, as does wearing midi dresses, midi skirts, Furla handbags, structured looks with ease and movement, refined footwear, pointy-toe ballet flats, and doing my hair and make-up each day. Sport my signature style despite the trends. That means blonde pixie, statement eyewear and handbag, natural make-up, white pearls, white shoes, white jeans, structured outfits, lots of colour, light neutrals, dark blue, flat footwear, and no nail polish. 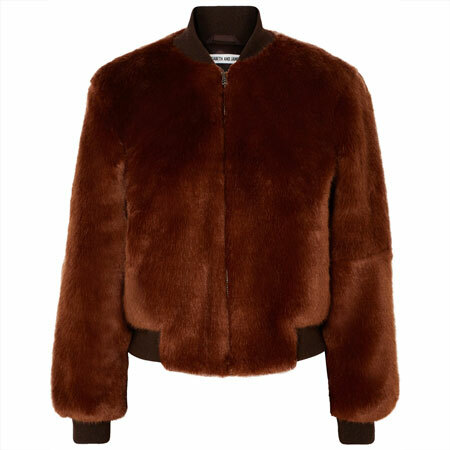 Add a pair of red pants, orange bottoms or dress, and a red Winter coat. Wear black in small doses. Wear skirts and dresses more frequently year round. Wear casual and dressy trousers more frequently, and blue jeans less frequently. Mix high-end and low-end items in one outfit. Find wardrobe gems on my travels because they are unique and sentimental. Have even MORE fun with fashion. Over to you. Have you thought about your style goals for 2018? Many of the YLF forum members have thought about theirs, and their posts have been a pleasure to read over the last few weeks. Please share your style goals in the comments section. Begin with just two goals if that’s easier, and take it from there. Or simply jot down some rough thoughts about your current and aspirational style direction. Sorry not done. 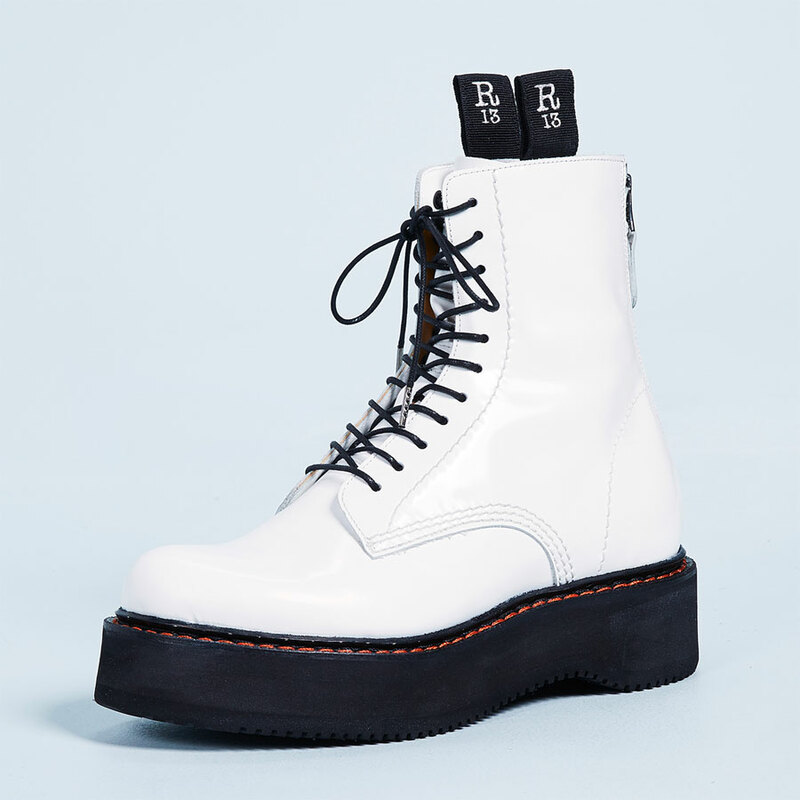 2. continue to search for comfortable, edgy footwear that does not annoy my neuroma. 3. stand back, don’t get caught up in someone else’s style. Make sure pieces, love them as you do, work in your real style. 4. Add more tops in black and gray texture for summer. 5. Make sure I have sufficient completer and support pieces. 6. Be me. Better to be an original than a copy! I love reading your thought processes and how you go about making these goals. For some reason I still cannot come up with good style goals for myself. I struggle with adjectives and an overall picture of where I want to go. I think I need to post some pictures of my favorite outfits and get the forum to help me. I do enjoy reading everyone’s 2018 analysis and 2019 goals. So inspired by this … Although I thought through my high level goals, I’m going to put pen to paper with some specifics today … “Fine tune, rather than fix” really resonates for me right now! I set goals in 2018 for the first time and found it very useful. I have set my style moniker as Powerful Pretty and have the words Polished, Feminine and Playful as my style descriptors. One goal that I set was to be mindful of purchases because whilst I enjoy shopping, I don’t want to buy things I don’t need. Buying to fill needs is my most important goals for 2019. If I do this, I am confident that I will be able to take my wardrobe to an even better place in 2019. Last year I’d identified my style as “modern-day aristocrat.” It was the first time I’d tried defining my style so specifically, and it was extremely helpful in making decisions. Only problem is, I’ve recently realized it’s not quite right! Often the clothes I’m drawn to don’t really do anything for me. This year I want to shift my style toward “modern day renaissance” because I think this kind of look will suit me much better and bring out my uniqueness. Will have to figure it out as I go along, but I think I’ll be looking to add detail, texture, and richness. Velvet, brocade, lace details, faux fur, burgundies, teals, golds, greens. I believe I will end up a bit dressier overall. Cate Blanchette is my style icon! Some things I think are working that I’ll continue are 1) stick with soft, not bright, color palette, 2) avoid black near my face, 3) keep my outfit colors low to medium contrast, and 4) be careful with patterns. Brightness, black, high contrast, and pattern all seems to wear me rather than the other way around. Re: hair and makeup, I like a refined but not overdone face and feel pretty happy with my products. I’ve been growing my naturally curly auburn hair and will continue to grow it longer as part of my style. On the budget side, I’ve been losing weight steadily but slowly over the last 20 months or so, and if this continues, I will need to keep a strict limit on how much I spend on anything. It’s painful to overspend on something I can wear for only a few months! On the plus side, I can experiment with different looks and not feel stuck with purchases that don’t work out. Look forward to reading everyone’s comments! It’s fun to see all the similarities and differences. I need to focus on things that are practical for how I live (washable, more knits, fewer wovens that need dry-cleaning) while not looking like gear. Oooh! I can’t wait to hear everyone’s style monikers. Years ago I was Eclectic Princess but I don’t think I have had another descriptive moniker since then?!? Thanks to seeing Angie’s Boden purchases of the past year, my very best purchases were also from that brand. They are inspiring my style for 2019 as well. Their clothes are beautifully made with unique color combos and prints that are always changing, yet are immediately identifiable as Boden. Their clothing is infused with creativity and playfulness, and they enjoy making the most of their British roots. That’s what I want to carry forward not only in my style but in my own work this year – love of home, playfulness, creativity, color, all while adhering to high standards. For goals, I want to wear my dresses more often. For additions, I really could use a pair of tall navy boots and a pair of chocolate brown riding boots and a handbag to go with the chocolate brown boots. I am also keeping an eye out for empire-waist dresses, so I can add variety to my dress silhouettes. My goals are simple: wear all of my wardrobe. Especially the more professional pieces. Fewer jeans+tee days. Other than that I’ll keep everything the same! My style moniker is Refined Edgy and it will serve me well through 2019. I would like to add slightly more Edge to my current wardrobe. In general I prefer cropped, slightly distressed, mid-wash jeans and pencil skirts. Items I would like to find this year: Red jeans, a comfortable athletic shoe (I just ordered a pair of wide Naturalizer, but the stitching rubbed my foot), and and more teal/turquoise tops/toppers, replace a leather jacket. I’m trying to both let my hair go to its natural grey *and* change up the style a bit (still short). Phew. Thanks for encouraging me to think concretely about this, Angie! My two overarching style goals- 1) Look for a couple pieces that are more architectural and/or play with volume, like what’s often available at COS. I’m finding myself wanting to play more with silhouette than with color. And 2) focus on skin care- I’m trying a new tinted moisturizer/sunscreen, and hoping I may finally have found one I like. Here are my key specific goals for 2019! 1. Focus on refining rather than fixing or changing: I’m happy with my style, it works for my life, and it’s true to who I am. Tweaking and refining should be enough to keep things fresh. 2. Keep dressing to my style words “classic, polished, casual and contrast”. Be open to an additional word emerging, or perhaps four is enough for me. Be open to a two-word moniker emerging, but don’t stress over it. 3. Track outfits. Not obsessively, but at least for a few weeks per weather season, I’d like to see what I actually wear. The purpose of this is to get clear about what I like to wear vs. what I like to buy, and note how the seasons affect my choices. I also think it will reveal what items would really help with my refining goal. 4. Shop mindfully. As per 3, focus on pieces that refine the wardrobe I’ve got. 5. Dress to feel good. With my stay-at-home, work-from-home lifestyle, this will often mean an uber-simple outfit, and simple (but done) hair and makeup. Embrace this! Be grateful for a simple life and happy to dress accordingly. Gryffin, your goals sound fabulous. Authentic I know all too well how hard it is to find great looking footwear that goes the distance. Patience pays off. Milk the long blazer trend! Robin F, we’d like to help you. And setting just ONE goal is great. Torontogirl, there you go. Fine tuning it is. High five. Bijou, good strategy. You have a KILLER wardrobe. Sonce, your goals sound focused and sensible. Good job. April, that’s a great goal. And a very achievable one. Laura, NICE. I'm with you on why you love Boden. Plus, quite reasonably priced. They will get a chunk of my fashion budget again this year. Kim M, your specific goals are great. Kathie, love that you are prioritizing skincare. Torontogirl, thanks for posting your goals. They are clear, authentic and cut to the chase. Well done. My goals are simple, as I figured out my style during the last few months. 1. Update home/lounge style – already in progress for winter. 2. Shop less. Per a challenge on the forum, I am going to limit the number of items I add each month to no more than 5. This is the hardest for me as I’m kind of a scavenger hunter by nature. 3. Figure out if I’ll be able to wear all my shoes as my back and hip injury heals. This one is obviously very specific to me, but some shoes I can’t wear now were new and I have to either re-sell or donate and write it off a sunk costs. 4. Figure how to balance out my casual style in my workplace with my need to wear dressier pieces sometimes. 5. When I do shop, continue patronizing Boden. Such a winner for knits and dresses! And Born for boots since they have saved my life this winter. Quality is my watchword. 6. Otherwise, keep doing what I’m doing. My style goals involve posting more WIW’S on the forum! 1. Personal – sticking with what suits you despite trends, and yet embracing trends when they tickle your fancy. In other words, prioritizing the personal in your style. I want to continue to picking and combining pieces according to my sometimes quirky way of seeing things and err on the side of individualism rather than safety. 2. Elegant – You are embracing the things that make you feel elegant, which suits your elegant and graceful presence. For me elegance is starts with my state of mind, and then materializes in the way I hold myself, the care I take in my appearance, and the confidence in my voice. I want to try to feel more elegant this year. 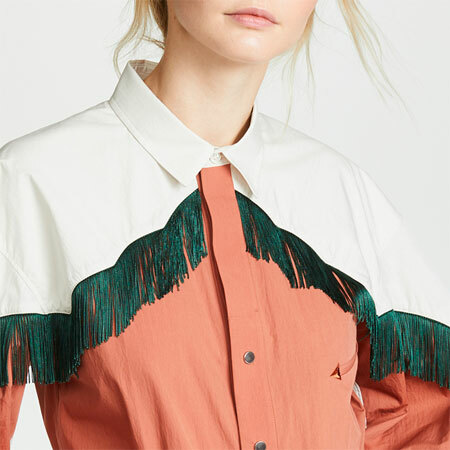 Along with this, I am heading toward a completely second hand wardrobe, which I do not want as a strict goal but more as an ideal I am striving toward. As always, I love reading everyone’s goals! Enjoyed reading your list, Angie. Interesting how refining one’s vision and goals year by year can help create more “mindful” acquisitions and combinations from one’s wardrobe. I have been working on my polished casual looks with an urban flair for years; at this point it is about focused purchases and asking myself targeted questions prior to additions. Last year brought many new pieces into my wardrobe as the selection was appealing, it was the year of our daughter’s wedding, with accompanying events, and we did a slightly different style of travel than we usually do, necessitating some new items for the Italian coast. This year, I am focused on wearing more of what I have. Towards that end, I have done much culling and curating, so that more is in sight. If I pay attention to which of the new pieces get regular wear, I will have a roadmap going forward. The other dilemma I have is adding pattern or prints to my closet. I find very few prints have longevity (of appeal) for me, so the churn is much higher. The ones that work over time get worn out; need to identify what the variables are that make a print a keeper. Not sure why that is so hard…My work-around has been updating a few pieces once I start to miss them in my closet and being content to let them go. I am not so fickle otherwise. Your understanding of what prints or patterns have staying power is enviable; my preferences are not as consistent. Thanks for nudging my thoughts along. I couldn’t agree with you more on quality. My wardrobe is in good shape overall and compromise on new purchases makes little sense. Here’s to more fun in 2019. 2) find a few pretty, feminine tops and sweaters to wear with my assorted combat & lace up boots. I like this soft/edgy combo and want to wear more of it. 3) keep new purchases within my color palette of medium blues, navy, indigo, cool grays, silver, raspberry, and burgundy. My goals have not changed much as I am pretty happy with my style and wardrobe. I want to simplify, edit and keep updated. That especially means replacing low rises with high ones. I want to continue to buy less and better and environmentally and ethically sound. Like you, I want to add a new-to-me color and also look for old favorites that I have not seen for awhile. Specifically, I want to add some yellow…a shoe/ bag/ scarf compliment and find some aqua and peach, but I need to identify the right yellow…probably a soft mid-tone. I need to experiment with what I have and wear the heck out of it. Prints.. I do not tire of simple stripes, animal prints, leaf motifs and watercolor abstracts but need to be very picky about florals and retro. Animals in a print…not cats or anything too cute. I prefer dragons. Maybe birds. Non repeating prints are a favorite. One goal is to overhaul DH’s wardrobe. He needs lots of replacements and better fits and hates trying things on. My main goal for 2019: elevate my style. Get out of the casual rut! I always enjoy reading your lists of goals, Angie. They’re so well thought out and articulated. I myself haven’t really had the time or the mental space to sit down and really think about style goals (aside from the ever present have fun with fashion!). I do know that I want to continue to be mindful and thoughtful about shopping and adding to my closet. Notice trends, and adopt or not. Find a black watch tartan coat. External factors have dominated my wardrobe usage over the last year and continue to now. Family medical emergencies had me living out of a carry-on for months in 2018, and currently I am in week 7 of living out of a carry-on I packed anticipating a 7-day trip! I expect the unexpected in 2019, and my goals include developing a travel capsule for warm weather and another for cold weather. The clothes need to be soothing, comfortable, appropriate for home, errands, and visiting medical offices and nursing homes. To counter stress and the drabness of such places, I need items that express fun and interest both to myself and others. My pulled-together Bohemian identity will find a way to carry on! My goal this year is to figure out what my style moniker is. I’ve been reading YLF for a couple years and still find this a daunting task. Having a style goal should help me get out of my practical casual jeans and fleece default style. I’m retired and live on 10 acres in a rural community and it’s just not appropriate or practical to be all that dressy. But I’d like to move beyond jeans and fleece / jeans and Lands’ End tees. Style goals for 2019 are to 1) photograph or jot down my successes in outfits, 2) wear all my new party clothes, 3) continue to edit out unworn items that don’t fit my current needs or lifestyle, and 4) shopping ban until May when I’ll assess my summer wear and travel needs. The reason for recording my successful outfits is to give myself an idea bank for the rare days when I’m in a hurry or too tired to think. Also to add to good memories and self esteem. The reason for shopping ban is to really concentrate on wearing the things I have and love and have clearer eyes when editing at this point. I have collected several items for party/event occasions. Tops: black satin floral print tunic blouse, burgundy matte satin peasant blouse, black chiffon and velvet poet’s blouse, teal lace “tee” top, crepe plum and gold floral print sleeveless blouse. Toppers: black/orange/gold mesh kimono, sage crushed velvet kimono, black and navy burnout velvet kimono, mulberry velvet lace jacket, navy bejeweled knit jacket, super furry fleece cream vest. Bottoms: navy lace pants, black chiffon pants, black chiffon skirt with glitter, tan and black small geometric brocade pencil pants. And a few pieces of unique jewelry. I have worn several of the listed items. They don’t combine with each other much, but I have paired them with black slacks, turtleneck, and other grounding pieces, a nice dressy jacket and a cardigan with a knife pleated peplum, all black. The fun thing is I have a few art openings (not mine), a wedding, trips to St. Louis and Nashville including concerts, and solid plans to wear all these pieces! I’ve been in my new home for two weeks, so am still not sure what my needs for 2019 will be. In my previous town, I had lots of socializing opportunities and although I’m retired, I was out and about 5-6 days a week. Weather here is entirely different, no more HOT (107)F summers and the average temperatures will be about 68 F year round. I’ve spent a lot of time analyzing my wardrobe in the last two weeks, and discovered that I have a large Out and About selection of clothing, more than half of my wardrobe and not so many Home clothes. So, Goal # 1: Buy for my new life. My first thought was that I could wear the same tops and pants but replace the dressy toppers with cardigans and sweatshirts. Both attempts were failures – I look dowdy in cardigans and the sweatshirts are too casual. Goal #2: Find Home toppers. Goal #3: Refresh and update current wardrobe. That means that for the first time, I’ll be practicing a one in – one out system. In fact, this year I’d like to reduce my numbers, so I’m starting with one in – two out. Goal #4: Work on defining my Style Adjectives. Goal #5: Have Fun! Your goals are so authentic and well thought out, they give me lots to contemplate for my own style plans. I posted my goals in the forum a week ago. Here’s the abbreviated version. (Note: I moved from a subtropical to a continental climate last fall, and hope to shift through a couple jobs in the next year or two). 2) black and white skirts and dresses. I don’t need any more of them, but I like to wear them with jewel tones and other strong colors, and can add more of those. Black pants fit with this capsule. Super shoes. I’m having fun with my new boots. I want to make more interesting choices in footwear. Subtracting. Nah. Not until life settles down with our own place and a predictable job. For now, anything I get must be able to be dressed up or down. There are quite a few things I haven’t worn yet, so I might be ready for a purge in the fall, or maybe not yet. Clothing and fashion are much lower priority than getting, furnishing, and decorating our own place, and building savings back up again. This means patience. Storage as decor. Since I’ll be putting together a new closet, why NOT make it one I’ll be happy just looking at, because its lovely organization is soothing? I’ll have sweaters and jewelry both at eye level, to encourage me to wear more of them. Great thread. My goal every year are to get dressed more (ie out of pjs) even though I work from home several days a week. Adding a goal to incorporate visually lighter neutrals. I enjoyed reading others’ goals. Stick with my winter style moniker, “Quiet Confidence” which sees me wearing simple uniform of skirts and knitwear. Juxtapose casual and dressy: This means a trench with my sneakers, fancy bag with my t-shirts, sporty watch with my midi skirts, and so on. Tonal colour: I’m really excited to do head-to-toe tonal colour combos. Green, blue, and pink gradients (dark to light) are my focus. Allocate most budget to winter: My budget needs to be skewed towards winter, since it lasts so long here. 2/3rds should go towards winter. I always look forward to this post. I love the clarity of your thinking, Angie! And I can’t wait to see how your style evolves. My goals for 2019, also posted on the forum. 1. 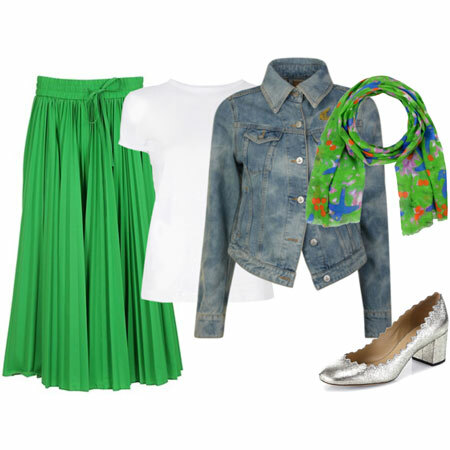 Continue to wear outfits that are: Modern, Classic, Vivid, Practical, and Playful. 2. Spend time reflecting on how I can reconcile my “trendy” style persona with my ethical aspirations. 3. Revisit the idea of a work-from-home “uniform” that does not include jeans. 6. Have fun with fashion!! I have really enjoyed reading your goals Angie as well as others . I can see some of the same goals and I am inspired by those I can apply to my own lifestyle and wardrobe. This is a great post. My style goals have been consistent for a few years and I can measure the improvement in my wardrobe; now that it is pretty flush with good stuff and enough stuff, however, I love this reminder to FOCUS ON QUALITY! That is my #1 style goal for this year. Thanks for posting your goals, ladies. As always, I enjoy reading them. Christina, keep on doing what you’re doing. Shevia, you are self-aware, authentic and fabulous. Eliza, you’re in a great place with your style. WELL DONE. Also, if prints aren’t your thing – stick to solids. That in itself makes a statement. Joy, editing and reviewing your bottoms is goal #1. Lucky DH for having you help him with his edit and style. JAileen, you are open minded and great. whidbeygirl, how about Eclectic Islander? cjh, it’s an excellent idea to document successful outfits. A reserve of FFBO’s is a beautiful thing. bonnie, you cut straight to the chase and nipped your new needs in the bud. WELL DONE. Opaline, what a sweet thing to say. I look forward to seeing your colourful and happy style on the forum. Smitttie, excellent goals. Simple, effective and meaningful. Suz, you’re a pro at this. As always, you put in the effort, and reap the reward. Excellent goals. Taylor, how about Playful Glam? kkards, those are thoughtful and practical goals. I really love your breakdown into Adjectives/General/Specific goals; that will be helpful when it comes time to review next year. I will give it a go. APPROACHABLE working toward a more relaxed, less stuffy/uptight vibe. I had a high buying year in 2018, so 2019 is all about focus, refinement, and slowing down to enjoy the process AND result. I want to further define my “Refined Californian” moniker and figure out what exactly that looks like. 1. Continue to wear outfits that fit within my flamboyant natural style persona – key words are elegant and relaxed. 2. Be clear and fussy on new additions – pouncing when I know something is perfect, but sometimes waiting is the best approach. Check Quality!! Rough one in/one out system. 3. Upgrade essentials – puffer, practical city walking boots, work pants, winter knitwear, blazer. 4. Make sure I have a good base for three week trip to Italy – especially shoes. 5. Don’t duplicate – the power of one. There are very few exceptions to this for me. 8. Keep exploring volume on the bottom – midi, wide leg crops with simple tops. 9. Keep having fun!! Be bold. I like one statement per outfit – this works for me. These were posted on the forum but I have slightly rearranged them here as they crystallise. In the week since I first posted, I’ve found it necessary to add a rule to my goals. Because I listed colors and a few items in those colors to buy this year, I’m finding myself going for all of the items in those colors, nearly indiscriminately (I exaggerate, of course). So, with a twinkle in my eye because it’s such a well known phrase, I’m telling myself I may only order or try on things if they “spark joy”. I haven’t even read Kondo’s book or watched her show (as anyone who has seen my questions knows), but I do think that phrase captures the feeling I want to have for any new purchases. We are not naked now, so what other reason is there to buy more? If it’s only to look professional, then there are certainly many other items–so why this one? Because I love it, that’s why. 1. Build a shoe capsule of 3-4 flat/low heeled, closed-toe shoes and boots for work. My wide feet, and overworked calves from running, can no longer tolerate my 2-3″ heels. I like colorful, unadorned shoes with a polished/dressy edge. Generally prefer low vamp, rather than loafers, or close-fitting booties. 2. Add more blues and greens to my wardrobe (dresses, tops, shoes). I love my navies and burgundies, but would like to add more color variety this year. 3. Keep wardrobe small to moderate sized. I tend to repeat my favorite pieces over and over again. I bought too many sweaters this year and I’ve struggled to get them all in rotation. 4. Add to my minuscule outerwear capsule. This spring add a colorful trench coat. Next fall add a dressy navy wool jacket. Like you, Angie, I feel pretty good about where I’m at and want to continue with more of it. I need to purge sweaters again and keep looking for high waist pants… esp in the area of plaid pants. I like my plaid pants and need them in higher waist versions… that will probably mean a review of tops as well. I didn’t get to the summer capsule do-over; 2018 summer was so iffy, I wasn’t sure what to do. My hair… well, I’m working on trying to make it healthier. It’s so thin now. That’s a long haul journey. If I have to name one goal it would have to be to get my wardrobe to a place where I like it all. I have too many things that I hang onto but don’t really like or feel like they work for me. I have started discarding items right after wearing them if I don’t feel good in them and want to continue doing that. Still getting my thoughts together, but this is what I have so far. Adjectives: sticking with streamlined, feminine, exotic, harmonious (with me), and vibrant. Theatrical Romantic + Ethereal – with Classic added for work and Natural for casual. Dark Autumn to True Autumn color scheme (focus on warm colors for 2019). Goals: 1. prioritize wellness including good gear and magpie fitness 2. Shore up neglected capsules (bitter cold and casual wear)-should be mix and match 3. Keep to about 36 non basics purchases this year unless drastic life change 4. Prioritize hewis, replacement needs, and wardrobe holes 5. Purchase in capsules if a new color or silouette to avoid wardrobe orphans 6. Buy for real life (mostly work and gym) and climate (hot and cold only, almost no in between). I like that moniker ! After much thought, the style moniker I came up with is…Accidental Eclectic Casual. 1. Stay true to self. 3. Since I spend more time at home than anywhere else, work on lounge wear wardrobe. The men’s sweatpants and extremely oversized tees are not cutting it. I enjoyed reading your goals Angie. No 5 particularly resonated with me. My overall goal is to continue to develop a signature style that reflects my mood or aesthetic and is not overly dictated by trends or what other people are wearing. 1. Keep using themes or moods for choosing purchases, for outfit creation and for editing. I have 3 themes for 2019. The elements of each require too much explanation here but they are each distinctive and focussed. Having 3 allows me some latitude to play with different styles – which I like to do. But it also sets some style boundaries – which I also need. 2. Really focus on improving my casual Summer style. It’s the area where I find it hardest to create outfits that are I enjoy and are practical for sun and heat. This means I’m actually going to keep looking for summer wear out of season. I am so fussy that I don’t think it will cause a problem. It’s my dominant season and underrepresented in my wardrobe. 3. Do a big closet edit, especially of work wear because I am working from home much more often. Focus on casual and going out wear. 4. Have fun and not take it too seriously! Angie your goals are so clear. I like that. I also like keeping the goals that continue to work for you. To wear the heck out of my clothes. Everything I have is in excellent condition (except for maybe one pair of boots that I will need to say good bye to soon, just not quiet yet) and has lots of wear left. Repeat as often as makes me happy. Focus on finding the “just right” casual, yet professional wardrobe pieces and pull them from my current weekend wardrobe. My weekend wear is casual,but far from sloppy. It makes me happy. I have found that many of my weekend wear pieces transfer very well to work, by adding elements of polish: jewelry, scarves, bags, toppers. Wear all my jewelry. Even the fancier pieces. Even on weekends. To wear what I like and not worry about being over or under dressed compared to the people I am with. Give myself permission to change my mind. Nemosmom, fun that you followed the same template. Your goals are tight, achievable, and you made me laugh. Onward Refined Californian! Sal, you’ve got it all figured out. WELL DONE. FashIntern, items that spark joy are the best. Good strategy. And having a signature set of colours is fabulous. Toban, YES to making flat footwear the priority purchases. I’ve been doing that for three years, and patience has paid off. Rachy, fab that you’re in a good place with your style. Try Topshop for high waisted plaid pants. I see lots of them at the moment. How about a short ‘do? Yay, Westworld! Robin F, YES. You did it! Editing your wardrobe this year is an excellent goal. Suntiger, NICE. That sounds effective and achievable. Is Theatrical Romance your style moniker? Wendy, YES to fabulous lounge wear. Brooklyn, you’re another who puts in the effort and reaps the reward. WELL DONE. Love the idea of your themes, and the flexibility to move between them. Mainelady, a reflective and effective set of goals. Nicely done. I’m sure you wear all your jewellery! 2. For casualwear: To dress in styles that are at least a bit chic and structured, as they make me feel best. 3. Return to wearing clear cool colours only, as they make me look best. 4. 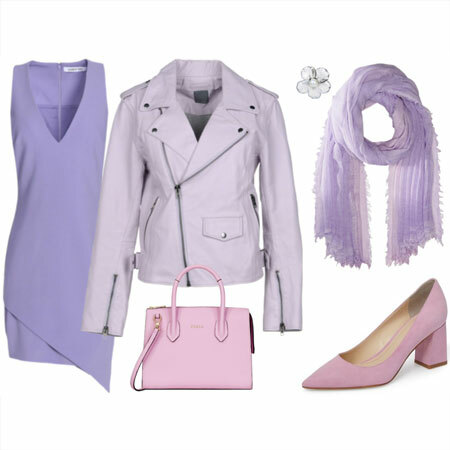 Buy and wear more icy pastels, purples and white. 5. “Invent” a personal capsule for swimwear, “sunbathing-wear” and “garden-wear.” This one is difficult. Hope for much inspiration from fabbers past a certain age. 6. Find hiking clothes and hiking boots that I really like–they need to have some style. change my hairstyle and go a lot shorter – my hair is in terrible condition and needs a MASSIVE chop. Wear all the new clothes I bought a lot!! 2. Just get more tops in general – I only bought 2 last year (and one workout top) That’s just not enough! 3 Buy a light coloured denim jacket – I’m moving on from ideas of getting a blue pleather jacket towards this – part of my general change towards light colours. I’m a bit sick of having pleather jackets falling to bits after a few years. •	First I need to define my essentials which I have done for fall/winter. Spring/summer will be challenging as I am not even clear on what uniforms I want to wear. I will need to do some experimentation with different silhouettes. •	My color story is black, denim, cognac, warm reds and rust, and teal for fall/winter. In spring/summer – denim/indigo, cognac, warm reds and rust, a light rusty clay color, and ecru. 2. Rebuild my wardrobe with the following in mind. •	Mostly solids with a few geometric patterns (stripes, dots) and leopard in small doses. •	Need to think about and add completer items such as jewelry, accessories, or third layer. •	For everyday I would like 2 layered gold necklaces and a slim bracelet to wear with my watch. 4. As I plan to sew a lot of my wardrobe I need to refit the basic garments that I use as a base to add m different details to. Ex- a slim pant, a looser fit but shaped tunic top for wovens and for knits, etc. After years of trying out phrases, two words came to me a couple of weeks ago: Relaxed Polish. This is what I am going to strive for here in ridiculously casual, dressed down, suburban Silicon Valley life. I started making a list of my issues, but that was depressing. Let me just say, I’m getting older and although I’ve had good fortune and good health most of my life, I’m well–getting older. Facing new problems. Last year I spent too much money on lesser quality items, sale items, shoes that didn’t work out, and color experiments that didn’t work. Some older, good-quality items no longer fit, and face it, they won’t ever fit again. Life is casual, but I still like to feel good about how I look, even if I don’t happen to leave the house. I need to be comfortable as well. The best event last year was the discovery of Boden–what a wonderful find. Buy fewer, better quality items. Continue adding more color to my closet. Actually go into the mall and go to the shoe stores/departments and try on the shoes. Walk around, I know my weaknesses. I only want to add 4 pairs of shoes this year, one for each season, so shop carefully. Add in some fall-back serious clothes. I don’t have any cool season outfits on hand for occasions such as a funeral or memorial service, or other important event. I used to have many such outfits, but although my weight hasn’t changed, my waist measurement has. I did mine a bit ago. 1. Continue using the 5-piece French system, with two annual purchasing seasons, focusing on supporting brands that match my lifestyle and values. 2. Keep my mid-year relocation plans in mind when purchasing. Different climate will mean diffeeent needs. 3. Create a theme-park capsule. Festive, hard-wearing, and unfussy. 4. Create a new work-at-home uniform. Also unfussy, easily washable, and hard-wearing, but a bit more artsy and creatively inspiring. 5. Keep my wardrobe roughly the same size. I have plenty, but things do wear out or fall out of favor. One-in, one-out is my friend. (1) Wear elegant and versatile pieces that are dressy yet practical. (2) Be selective in color and silhouette, as I’m happy with a discrete number of items in my favorite colors and silhouettes (especially shades of navy, burgundy accents, and sheath / fit-and-flare / wrap silhouettes). (3) Allow myself to buy fabulous, high-quality items, especially for my professional life, if I truly love them, they serve my style goals (polished sophistication for work, graceful ease for weekends, and timeless elegance for occasions), and they will upgrade and replace existing pieces. Last year, I upgraded my jewelry with some wonderful real pearls (e.g., triple-strand pearl bracelet and double-pearl earrings), which leads me to the final goal . . .
(4) Make a conscious effort to wear one accessory that isn’t a daily standard most days. It’s fine to embrace feeling low-key and wanting to be accessory-free (like when I’m working from home), but try to enjoy my jewelry and other accessories as much as possible. And finally, be patient with the journey . . . YLF has gotten me to a great place, yet there’s always an item or two that I’d like to replace or upgrade, and sometimes that leads to frustration. Take a breath, and remember that being patient and picky is worth it . . . the right item will come with time! Off the top of my head, my first style goal is PPP – To be Patient, Picky and Practical: not buy things that I don’t truly love, that aren’t practical, that are low quality or that don’t fit my lifestyle. I too often settle. I don’t want to anymore. I have learned that I can get by on rather few clothes and still be mostly satisfied. I want to exploit that, but also keep a good variety in color (and silhouette) to keep me happy. Second, I want to sew a portion of my own clothes. It’s a hobby I enjoy, and I’m ready to play with fabric and shapes again. I love juxtaposition so I think I’m going to go with rugged polish with a dash of color for style goal. I’ve culled a bunch of jeans and pants that were worn out or unworn. Next up are tops then shoes. I hope to streamline my wardrobe so it consists of only things that make me feel fab–get rid of those place holders, fussy shoes/tops. My most important style goal is to wear my clothes that I bought in the last year, either find more events to go to or just dress up for the grocery store. Need to sharpen up my hairstyle, get new eyeglasses, and wear light makeup. I also want to follow Maine Lady’s example and wear my jewelry that gives me pleasure. I’m impressed, ladies. It’s effective to see your annual goals in one place. Anne, good job. See my comments on Suz’s forum posts about ethical fashion. Lynn, very detailed, and good luck with the sewing. MsMaven, focused, practical, and I’m high fiving your quality priority. Jenn, organized, succinct and spot on. Penny, you are good at this. Excellent goals. Can I clone your patience gene? Amiable, no more settling! Great goal. Kelly, let the edit begin, and you ARE the most polished uber casual person I’ve seen. Ginkgo, YES. Don’t leave your clothes for good. Wear them! Focus on SHOES, STATEMENT EARRINGS and LIP COLOUR. Why? I think they make a massive difference to the overall look of an outfit…. I hope to devote the larger portion of my clothing budget to these areas. I looked at my files and found some style goals from 2014. 2014: Casual – Fashion-Forward – Effortless (Sprezzatura). My shift from Fashion-Forward to Modern Classic is a reflection of aging. (Which I’m becoming more accepting of whether I like it or not.) I do have a Timeless Avant-Garde capsule which I pull out for the right occasion and mood. Because it’s fun to express different styles.